Ed has been doing handyman work ever since he was a child. He & his best friend would build small cabins together using scrap lumber. This skill followed him all the way out of high school. Ed worked as a carpenter for 11 years until the work ran out. He then became a maintenance manager for 30 years. Ed is looking forward to getting back into carpentry with his Yellow Van Handyman business. For me, a large part of life includes helping people & working with my hands. As a handyman I get to do that each & every day. The fact that I will be in full control of my schedule allows me to spend time with my members as well as focus on family & still have time for my favorite hobbies. 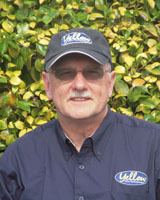 Because I have been in the maintenance business for 30 years I have a wide range of repair knowledge. I love to fix & improve homes. I began doing carpentry work when I was a kid with my best friend. His father would allow us to rummage through leftover lumber & we would build small cabins & forts for ourselves. That skill followed me all the way into adulthood. Dependability is very important to me & so I want my members to know that I’m a dependable & responsible person. I want them to be able to count on me & my vast repair & remodel skills to be able to help them when they are in need. I’m a Jack of all trades so whether your project includes roof repair or a full bathroom remodel, I’m your go to guy! My favorite repair was when I fixed my wife’s hairdryer. She was really impressed that I was able to fix it when it seemed to be unfixable. I am a licensed, bonded & insured contractor, so whether your service need is on the interior or exterior of your home, I am your one stop shop. The most common repair request I receive is drywall repair. The most unusual request I received was to install stained glass windows at my church. I also build decks & fences, fix leaks, stop squeaks, paint, repair & replace toilets, caulk showers & sinks, install tile, clean gutters & hang doors. From kitchens & bathrooms to attics & basements, I do it all even minor electrical & plumbing work. I love referrals! There is no higher compliment than working for someone & having them refer me to their friends & family. It indicates to me that I have won them over ad they can count on me. I feel like much more than just their “Handyman”, I feel like a friend. Love Yellow Van, Great Service!! Ed Larson was very knowledgeable and completed each task with professionalism. Response: Thank you so much Bob. It was great to be able to share lunch with you and get to know you. We found our HandyMan very personable and knowledgeable. He was very professional and he cared about his work as well as the needs of us, the customer. He cleaned up after his installations. We are enjoying our new shower rod in the guest bathroom, the grab bar in the master bathroom and the new angled ceiling fan in the family room. Ed was great! He was so nice and got the job done. Fantastic to work with! Very knowledgeable and interested in fixing my problem to my satisfaction. Very high quality work. Would definitely work with him again on other projects. Another great day with Ed helping me with tasks around the house. Ed is knowledgeable and very easy to work with. Ed has helped me multiple times so far, and will continue to be my only choice for home repair work. Very happy with Mr. Larson’s work, he has always been excellent! We will continue to use his help on any project we have.